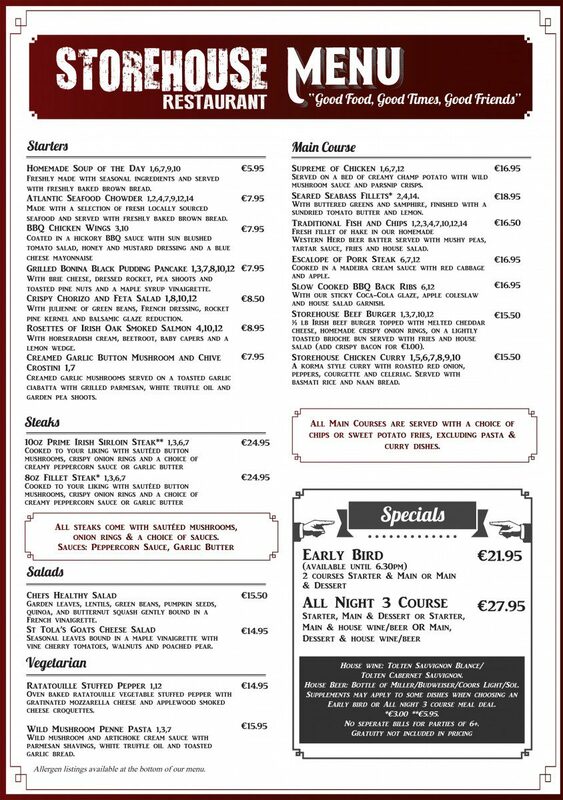 Situated above Ennis’s historic Knox’s pub, our trendy and welcoming restaurant serves feel good, delicious food every day. Our menu features some family favourites such as a beer battered Fish & Chips with all the trimmings and homemade Chicken Curry with Naan, but you can also choose some of our more unique dishes such as our Seared Seabass Fillets, or our delicious Coca-Cola Glazed BBQ Back Ribs. Food is served every day from 5 til late. Drink includes a choice of: Bottle of Miller/Budweiser/Coors Light/Sol or a glass of house wine.